Frankston Basketball Stadium Stage 1 works will include the construction of an additional four (4) courts including a 2,000 seat show court at the current six (6) court Frankston basketball stadium. To help our clients be the best they can be Waterman strives for world’s best practice designs to deliver world-class facilities. We know from experience how uplifting well designed and constructed leisure facilities can be for performers and users alike. Here at Waterman, we are able to provide multidisciplinary engineering, technical, and building services to help our clients realise their vision for state of the art leisure facilities or an inspirational sporting arena. Our multidisciplinary team has worked with many clients to deliver a range of outstanding sports and leisure projects, both here in Australia and in venues around the world. 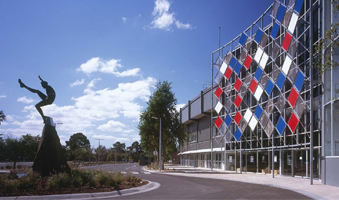 We are proud to have been involved in high profile projects, such as delivering new training facilities for the Western Bulldogs and Essendon AFL Teams. No matter where in the world it is or the scale of the project we’re involved in, at Waterman, our focus is always on delivering cost-effective, sustainable solutions. We work as a team with clients who have big dreams for the future and a clear vision of what they want to create in terms of sporting or leisure facilities. Modern sporting venues and leisure complexes have to reach out to a wider audience to be viable; as well as being a local stimulus for jobs, transport and infrastructure, they have to be designed with integrity and for sustainable use well into the future. So we don’t just help design new sporting arenas, theatres, libraries, aquariums, and other facilities, we also assist with overall planning, energy consultancy, infrastructure, and all of the technical requirements that 21st century projects require. Our talented building services consultants work as a team to provide solutions to support our clients. We have the experience and the proven ability to deliver well designed, sustainable buildings that meet both financial and environmental requirements. 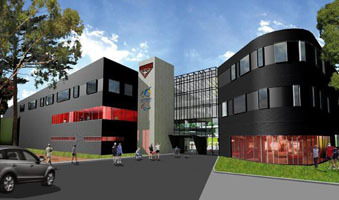 The new elite training facility for the Essendon AFL Football Club includes a gymnasium, indoor pool, hot and cold spa, administration and football departments, lecture theatre, indoor basketball court, indoor football training hall, running track and two AFL standard external football grounds. 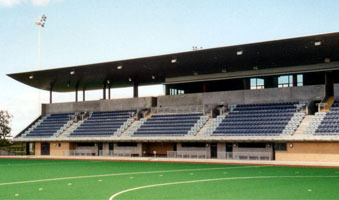 The State Netball Hockey Centre is a world class facility sporting facility centrally located adjacent to the Melbourne Zoo at Royal Park. 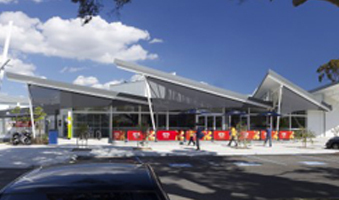 The project consists of the training facilities for the Western “Bulldogs” AFL Football Club as well as club administration and retail facilities. Included in this multi-purpose facility are four pools including a learn-to-swim pool and a hydrotherapy pool.